Drum roll please.... Take a look at the new and updated Google Map. If we have your business card we have displayed it on the map – just click the balloon. On some we used a logo instead of a scan of a business card. If you would like your business card or logo added to your space on the map, please send it in. You can either mail us the actual business card or scan and email it as a .jpg file. We have Julian Beyer to thank for rebuilding the map – it looks great. Thanks Julian! We're still in the process of migrating the “Meet the Members” page information to your individual “Personal Mini-Pages”. As we add new members to the member directory we are creating their Personal Mini-Page, right away, if graphics or additional information is sent along with the member listing. We don't want the information on the Personal Mini-Page to repeat the information on the member listings. 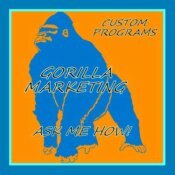 We want to use these pages to add more information about each member and each business. We're migrating the information from the Meet the Members page in order the information appeared – alphabetical order. Please bear with us. We're working on it and hope to have all “Meet the Members” migrated to Personal Mini-Pages by the end of this month. We're hosting a UPL Summit Webinar on Saturday, March 23 at 11:00 a.m. EST. The UPL Summits are always interesting. We invite document preparers from throughout the country so that we can compare notes with our colleagues in other states. We discuss recent developments, ongoing investigations, and then invite open discussion. Webinar invitations will be sent to you via email about a week prior to the date. If you have not received an invitation by March 18, please call or email to request one. Our most recent webinar on February 9, was a success despite technical difficulties. Our screen share would not work at all, so we only had a conference call and text chat – no power point presentation. However, one of our main goals in hosting the webinars is to give members a chance to interact, and that went well. We hope that you create multiple mutually beneficial relationships within our group. In the next few weeks FALDP Director, Ruth Tick will be interviewed on Global Talk Radio. Exact date and time to be announced. We hope to be able to provide audio streaming directly from our site. Ms. Tick will be talking about the growth and goals of our association. Growth - new members, site changes, new courses. Goals – outreach, legal access and credibility. During the interview, she is also expected to announce the location and date of the Fourth Annual FALDP Conference. We've been researching the whole concept of the unauthorized practice of law (UPL) for a while now. In fact, as many of you know, UPL is one of the reasons we formed this association. No, not so we can practice law without authorization - so we can avoid doing so. Each of us, every legal document preparer, wants to continue to work another day. We all want to be able to earn a living, help others, and not have to needlessly worry about whether we have inadvertently stepped in the murky gray mush of UPL. One of the things that you need to think about is how you handle social media and your online persona. As business people we all have an obligation to ourselves to present our best self to the world – yes world. That's why its called the world wide web. I am far from an authority on social media, as the only social media I am involved in are Linkedin.com and Google Plus. I don't participate in Facebook as a business or personally. Facebook can be a problem for legal document preparers, because it is so public and so personal at the same time. One of our members' Facebook posts became part of her UPL investigation when she answered a question from a Facebook friend. It was a fairly innocuous question, something like - “Will I be able to get alimony”? The member answered her correctly, as in – it depends on your specific facts and circumstances, and proceeded to cite the Florida Statute regarding alimony. But, that didn't stop the attorney who was out to get her on a UPL charge from printing out the Facebook page and adding it to the complaint. I'm not saying that you shouldn't use Facebook for your business. I am saying you should be mindful of what you say and what others say, regardless of the site or even the context. One of my customers wrote me a very nice recommendation on Linkedin, that I could not use. His recommendation implied that I gave him legal advice, when I had not. Be mindful of any testimonials that your customers write for you praising your abilities. Scrutinize the words closely. Remember (as every parent knows) – you don't have to do anything wrong to get in trouble. We think the UPL Committee and the Florida Bar may be guilty of engaging in sophistry. After all, how many angels CAN dance on the head of a pin? The Florida Bar's UPL Committee has finally closed their lengthy investigation of Julie Jefferson, owner of Freedom Rings. Although the Florida Bar UPL Committee had alleged that Ms. Jefferson “may be engaging in the unauthorized practice of law”, they never stated with any specificity exactly what her infraction(s) might be. In fact, the transcription from her first court hearing reads a little like the Abbott & Costello - "Who's On First". Online marketing and ad placement for your legal document preparation company or any other product or service that you offer.